Organic apple cider vinegar, revitalizing organic turmeric, and organic herbs give this dressing a delicious and diverse flavor profile. Meet Primal Kitchen's Lemon Turmeric Dressing made with Avocado Oil—a nourishing primal delight with a deliciously diverse flavor profile. Infused with avocado oil containing monounsaturated fats, organic apple cider vinegar, and organic turmeric, this gentle sweet and sour dressing is packed with premium ingredients and unbelievable flavors. Free of gluten, soy, added refined sugar, and dairy, this dressing is Non GMO-Project Verified and primal to the core. Whether you're a spice lover or simply looking to upgrade your culinary experience, our Lemon Turmeric is the secret weapon for transforming salads, veggie rolls, and sushi creations into delectable masterpieces made with clean, simple ingredients. Avocado Oil, Water, Organic Apple Cider Vinegar, Organic Lemon Juice Concentrate*, Organic Garlic Powder, Sea Salt, Organic Onion Powder, Organic Turmeric, Konjac Root, Organic Black Pepper. *Adds a negligible amount of sugar. Not a low calorie food. Anthony M. Reviewed by Anthony M.
Fresh taste with just enough lemon to not overwhelm you. I really enjoy this dressing. I enjoy all their dressings. Favorite salad dressing of all time! I literally crave this dressing daily! I absolutely love the tang of the ACV and lemon. In fact, I love it so much that I bought 7 bottles at once haha! Stock up :) Give the bottle a good shake before pouring for best consistency. So glad I found this amazing product - thank you Primal Kitchen! 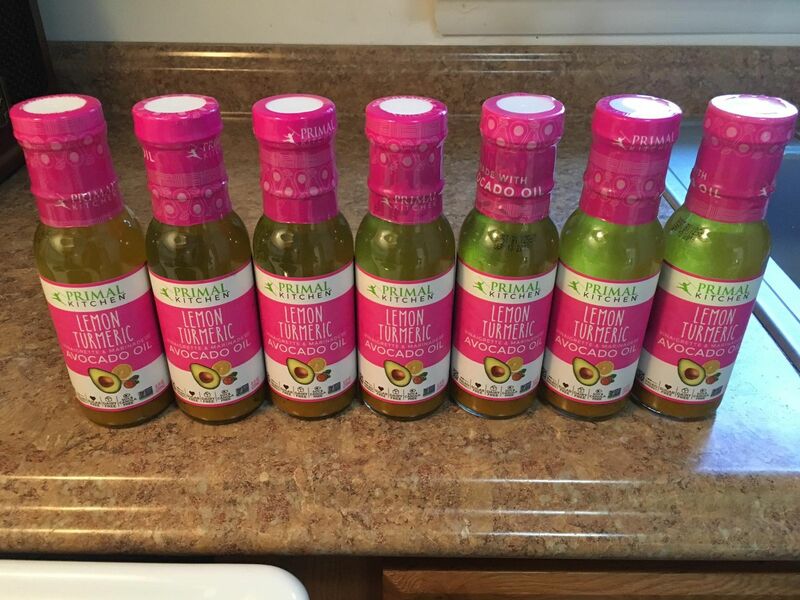 Suzanne E. Reviewed by Suzanne E.
I love this dressing - so flavorful! I only wish the bottle was bigger! Betty D. Reviewed by Betty D.